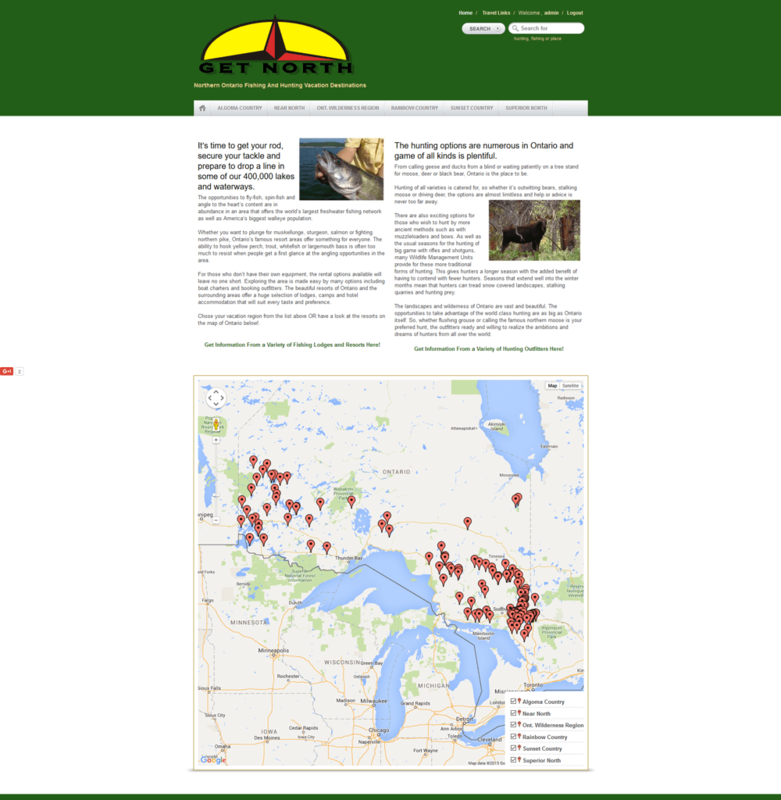 Get North is one of our main directories. This site features a searchable database of hunting and fishing resorts, Google map integration as well as links to Facebook/Twitter and embedded videos if you have them. Users go to your website through our referral service..